Come ring in the New Year with your friends at camp! 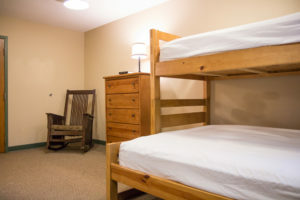 College & Career is a retreat for college age youth and young adults. Individuals and groups from all over Minnesota and the Midwest come to celebrate New Year’s and get our buckets refilled. The life of a College student or a young adult can be crazy. Between school, work, relationships, and family, it’s all too easy to mix up priorities and push God to the back burner. This retreat helps to put those priorities back in the right order and start off the new year on the right foot. So join us for a long weekend of amazing activities, great messages, fantastic music, and more coffee and food than you’ll know what to do with. You can play broomball, go crate stacking, or blaze the ski trails. Or if you’d rather simply hang out with friends and meet new people we’ve got plenty of space in Fireside Lounge and the Covenant Grinds coffee shop. Scroll down to “Activities” at the bottom of the page for more specifics. Camp is a year-round ministry. On any given weekend, we have about a hundred people using our facilities to get away with their church and families. To help us prepare for the winter season, the young adults who attend this retreat will help us with a variety of service projects around camp. These projects will include: making a snow tubing hill, stuffing envelopes, deep-cleaning the kitchen, splitting firewood, organizing closets, and more. We rely on this retreat to make our winter season possible. So we thank you ahead of time and look forward to working with you! 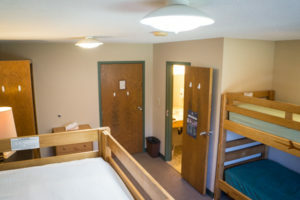 In addition to the four public bathrooms equipped with showers, there are private half bathrooms in nearly all of the rooms; four of these rooms have full bathrooms. Two kitchenettes and two meeting rooms are available for groups’ use. Check back later for retreat speaker information! 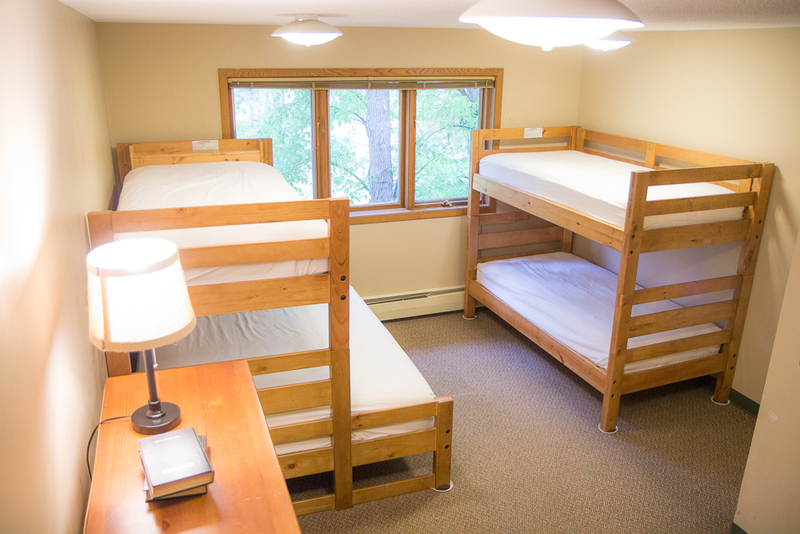 The mission of Cpm is to encourage campers to take a next step in Christian faith.